I’ve once heard from someone that fashion never dies, it constantly keeps upgrading itself. True, it is actually the habit of human nature that, we evolve. Fashion has trends and these trends keep changing. Let’s go to a flashback of the 80’s where men used to wear retro pants that had a wide opening from the bottom and women used to wear parachute pants and heavy jackets. Now let’s come back to the present era where skinny clothes are ruling the world of fashion. From man to women everyone wants dresses that are skin fitted. Everything about fashion has upgraded over the past decade but one thing that still hasn’t is the art of fashion photography. It is photography which has allowed us to see what types of fashion was on trend before we were even born. Now there are different types of fashion photography styles and ways. Some do it inside the four walls and some open in the air. They are known as indoor and outdoor fashion photography. 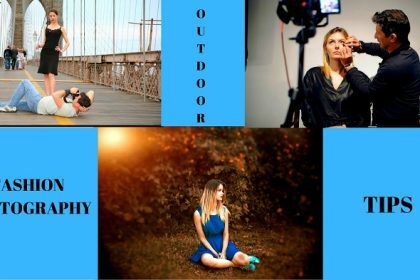 But, in this article we’ll tell you everything about outdoor fashion photography concepts and ideas, which we have collected from professional fashion photographers and top fashion photo retouching services. What cameras do professional fashion photographers use? 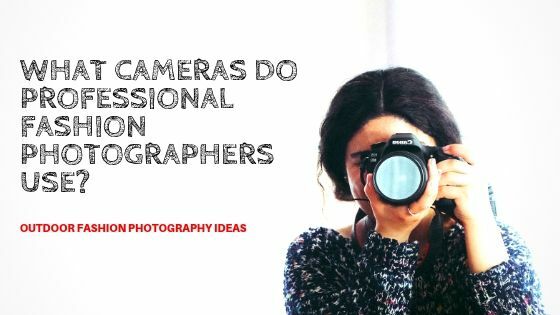 If you’re damn serious about taking your fashion photography skills to a higher professional level, or if you’re thinking of how to become a professional fashion photographer then, let’s start from the basics. And the basic rule is to choose the perfect camera and lens which the professionals use. If you want to be a professional you have to start using the tools they use. According to the top fashion photographers in the world the camera they prefer for capturing exceptional photographs is Nikon D3X Digital SLR Camera. There are some great reasons behind this which are that it has a 24.5 mp resolution and a large CMOS sensor. It also has not one but two different live view shooting mode which can continuously shoot at 5fps at full resolution. Therefore, you can take great fashion shots using this camera anytime anywhere outdoor and even indoor. A camera is almost of no use without a lens. To do exceptional fashion portraits photography a perfect lens is highly necessary especially if it is an outdoor shoot. The most highly recommended lens for capturing alluring fashion images is the Nikon 70-200mm f/2.8G AF-S ED VR II. It has a great focal length of 70 – 200mm with a minimum aperture level of f/2.8. It means a shallow depth of field is possible. 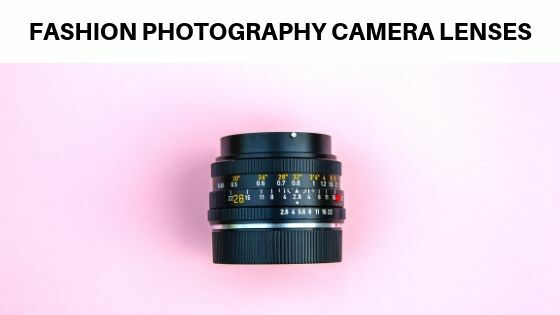 Long distance but high quality shots can be clicked using this lens. Therefore, capturing outdoor fashion shots will become easier and the photo will also look amazing. Now one thing that every professional photographer should know is that the camera settings for different types of photography are different. It’s because we have to keep in mind about the concept of that photography. For example, if you’re doing landscape photography then you will have to focus all the details of that landscape right? 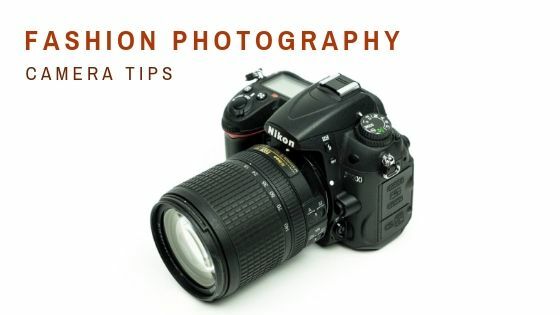 But if you’re taking a portrait then your priority will be to focus only on the subject. For capturing fashion images our priority should be the model and to keep only him/her in focus. We would need a shallow depth of field for it. Shallow depth of field will focus the subject and blur the background. To attain this we would need to control only the aperture manually. 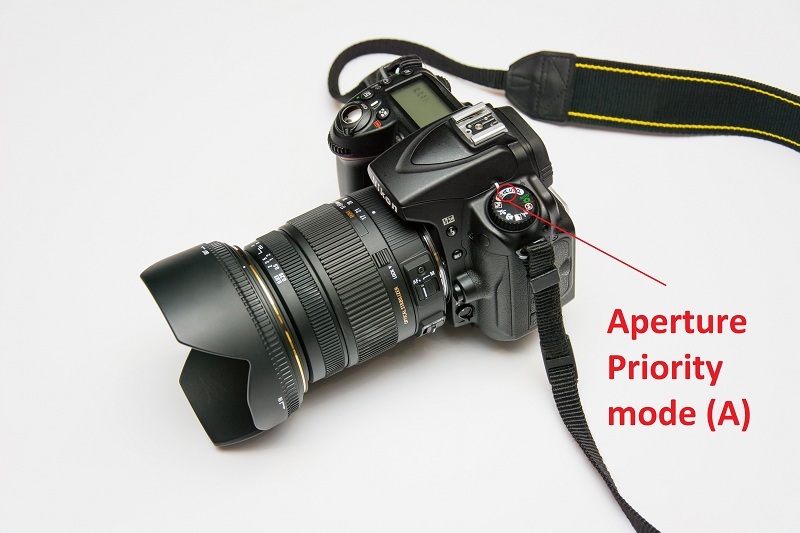 The aperture priority mode will let us control it manually. For outdoor fashion portraits, we will need a lower aperture or the background may also come in focus. Recommended aperture should be at least f/2.8. 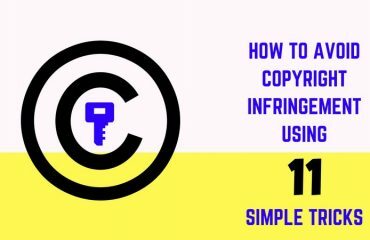 This would help you to focus the subject properly. In outdoor there will already be a great amount of natural light. The need for a higher ISO is less or else the image will be too much brighter so that the subject will not even be visible. 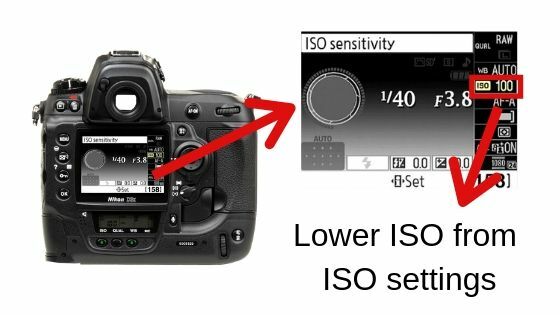 The aperture will also be lower which means that the cameras will intake more extra light and the sensor will only see light but not the subject. For reducing light intensity and keep an optimal intensity we need to lower the ISO. Recommended ISO should be 100 – 200. 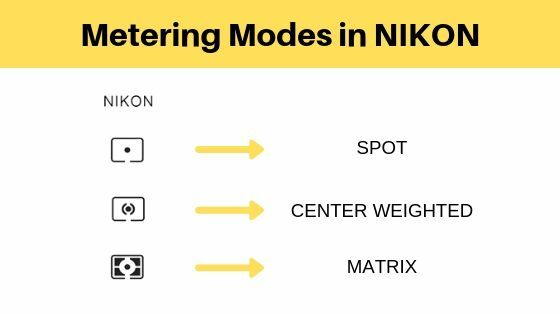 There are different types of metering modes in a camera. But, for outdoor fashion portraits, the center-weighted metering mode is most suitable. 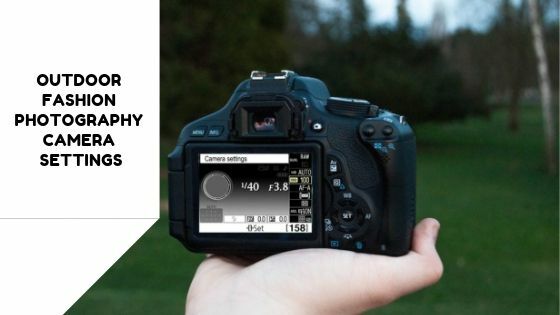 This metering mode focuses the area which is closer to the center of the meter. This means if you keep your subject at the center of the frame then it will be focused more accurately and the image will also be sharp. 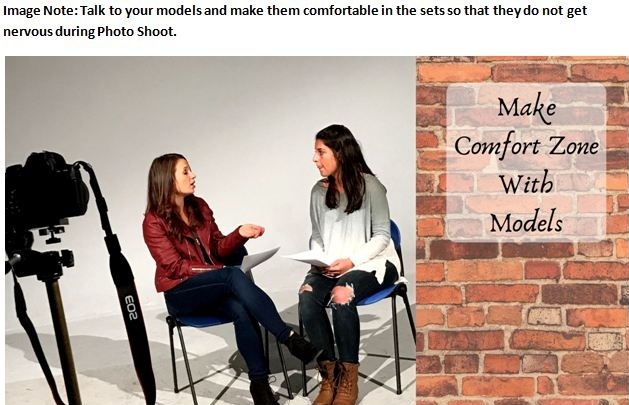 While taking fashion shots your model may have to keep changing poses only then you will be able to take actual candid photos. For taking these movements into your frame at the right moment you may have to take continuous shots. And continuous shooting mode helps you to take continuous shots easily. Fashion photography is fun yet very technical. You need to have ideas about outdoor fashion photography and you should know how to do it. New styles of fashion photography come every day in the industry. So try to provide something great and new. 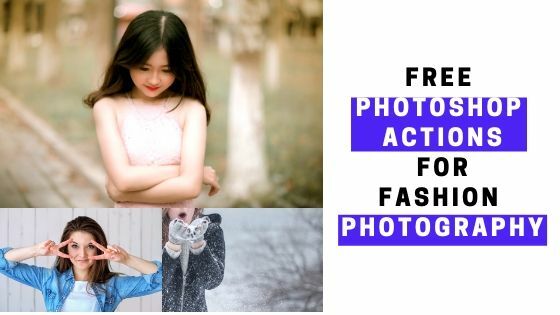 Here are some fashion photography ideas which you can apply during fashion photography photo session. 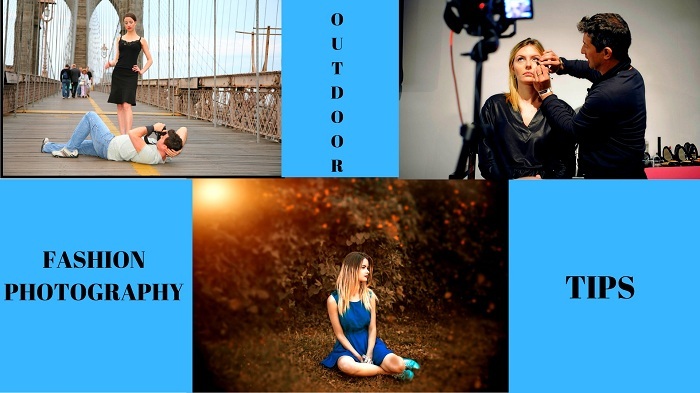 While fashion photography, one of the important outdoor fashion photography tips I would like to give is to select the fashion models very carefully. No matter how your fashion products are. If your models are not pulling it up well, then the shoot will go in vain. Remember, a model is the face of your fashion product. 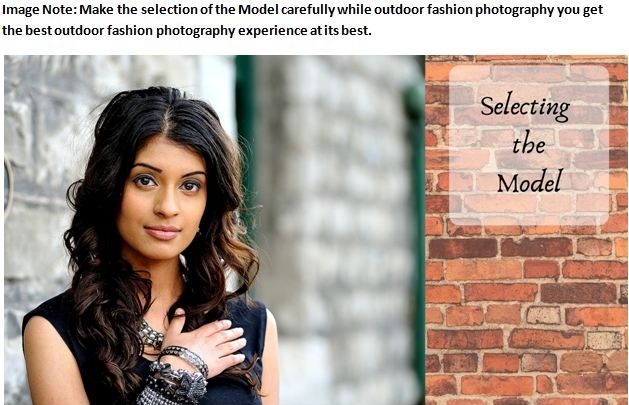 Before selecting the model, you can hold an audition for your fashion photography. Do meeting with them and click photos of them as a trial. From that, you can find which models for Photo-Shoot who is suitable for the photo session. Lighting is an element which matters a lot while fashion photography. Since there are two types of fashion photography, indoor and outdoor, we are going to talk about both. In indoor fashion photography, lighting plays the most important role to make good fashion photography. While doing indoor fashion photography, you can use varieties of lighting kits which are best for fashion photography. Monolights, Powerpacks, Beauty Dish, Back panel etc. are mostly used for fashion photography. When you are doing outdoor fashion photography, you do not have to think about lighting too much if it is a daytime. Natural sunlight is the best lighting system you can use. Just use reflector while shooting outdoor. A fashion photograph should tell a story. People like fashion photographs when people see some story over the fashion photograph. As a viewer, I like seeing photos which have meanings. One of the secrets of fashion photography is to creating concepts for fashion photography. Set some outdoor fashion photography concepts in your mind which you can apply it during fashion photography. 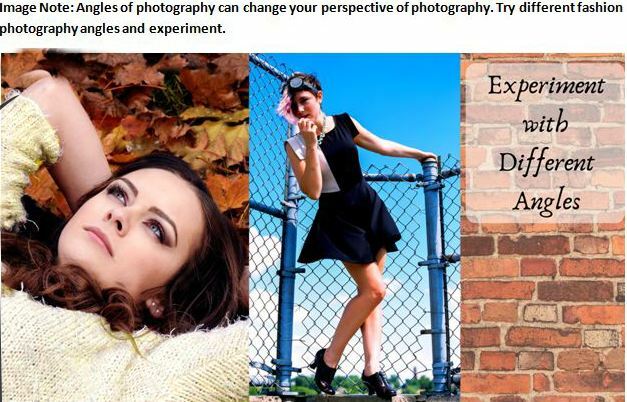 Try different concepts with fashion photography which actually convey a message to the viewers. Suppose you are shooting a sports brand, you can create a concept of the models playing sports and shooting fashion photos. You can also make some environment using fake sets to do fashion photography. If you think you can create the sets only in indoor, then you are wrong. You can also create sets to create concepts for outdoor fashion photography. In your fashion photography career, if you do not have a better understanding and comfort level with your models, it is not a good thing. While doing outdoor fashion photography, make sure that your models are comfortable. Talk to them and make them easy before shooting. Give them the brief and give them some time to prepare themselves. Remember, if your models are nervous, the photos will not come up in a good way. So make the models comfortable as much as you can to get good photographs. That makes your models more confident. Try it out. When you are doing fashion photography in indoor, you do not have to think much about make-up. Most of the times, the indoor photo shoot locations remain air-conditioned. So there is fear of your makeup melting away. 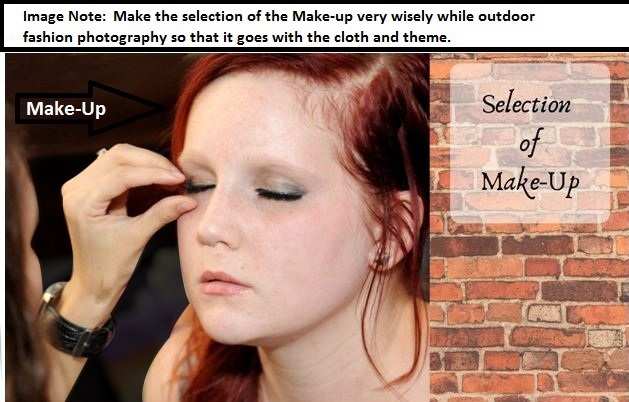 You have to check what kind of make-up is suitable for what kind of cloths. If you are shooting outdoors, you have to be very careful about make-up. Put very light make-up on the face of your models so that it does not melt away white outdoor fashion photography. Clothing is also very important for great fashion photography. You have to select the cloths while fashion photography too carefully. 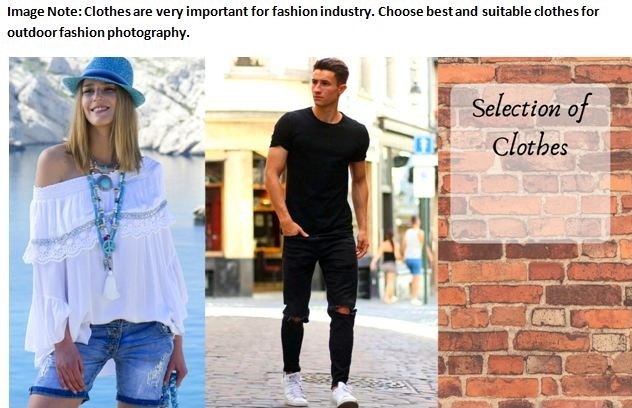 I would suggest you select light color clothes when you are shooting outdoor fashion photography. Talking about my fashion photography tips, the thing which excites me the most is talking about poses. While fashion photography, do not stick with one plain pose only. 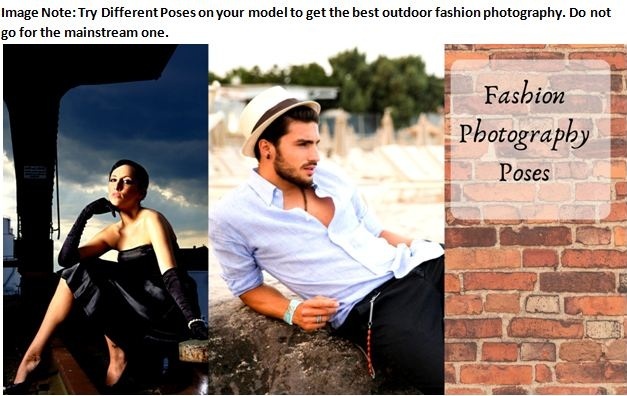 Try a different model poses for your outdoor fashion photography. The poses can make your photo looks great or worst. Suppose, you are shooting for fashion photography of silky cloths and the models are posing bending their knees, this makes the fashion outfit looks shabby. So try learning different poses to apply for fashion photography. Try different poses like standing with keeping the hand in the hair, keeping one hand near the chin and chin down, smiling, doing some activities etc. One of my best outdoor fashion photography tactics is trying different angles while fashion photography. Standing straight with a straight face and clicking the photo in the same straight angle is too mainstream and old. The fashion photography now should be experimental as much as it can be. 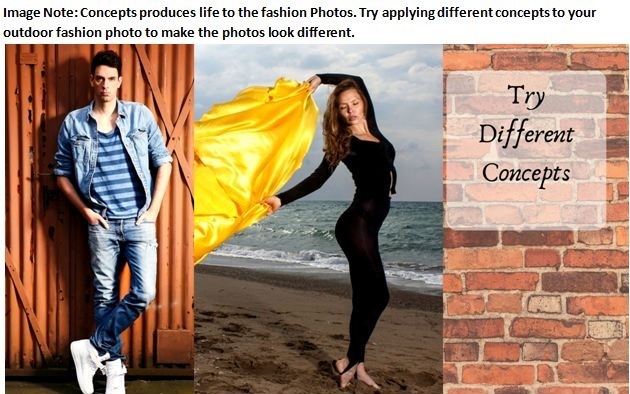 Try clicking fashion photography with various angles. Different angles will give you different looking photos. When you experiment with different angles, if one photo with one angle does not come good, at least one photo from a different angle will definitely come good and different. So this outdoor fashion photography idea should be followed by you. Besides models, other elements of the photo also really matter. One of the elements among those is the background. If the background is not attractive enough, the whole fashion photo of yours might go in vain. Talking about outdoor fashion photography techniques, selecting the background properly is a major tip. The best outdoor fashion photography background would be selecting outdoor locations. Natural locations as background for outdoor fashion photography work really well when you see the fashion photographs. 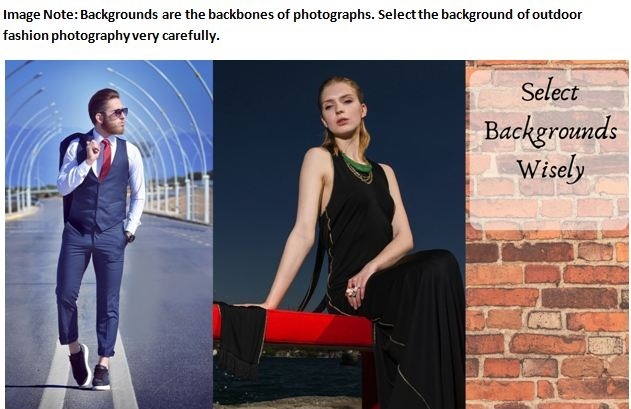 You can also create background yourselves and do fashion photography outdoor. In fashion photography, sometimes plain photographs may not get a good conversion rate. Using some props in your outdoor fashion photography would make an exception to fashion photography. Apart from showing the fashion products, you can add some special effects and some props to the outdoor fashion photography so that the props make the actual fashion product stands out. An important thing you should keep on your mind during outdoor fashion photography is the placement of the subject. 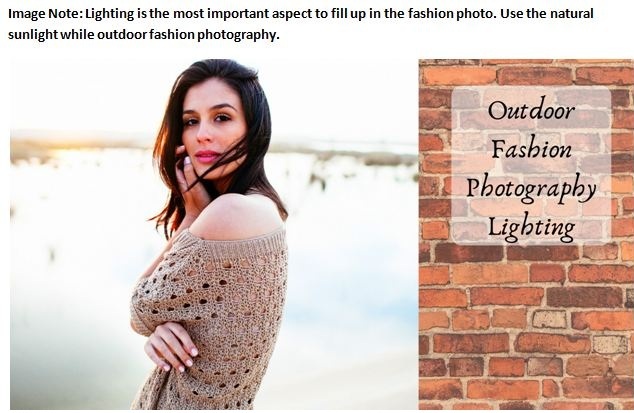 You have to have this outdoor fashion photography idea to place the subject at the appropriate place. I would suggest you place the subject in the center most of the times. Your subject will grab the attention if the subject is placed in the center. 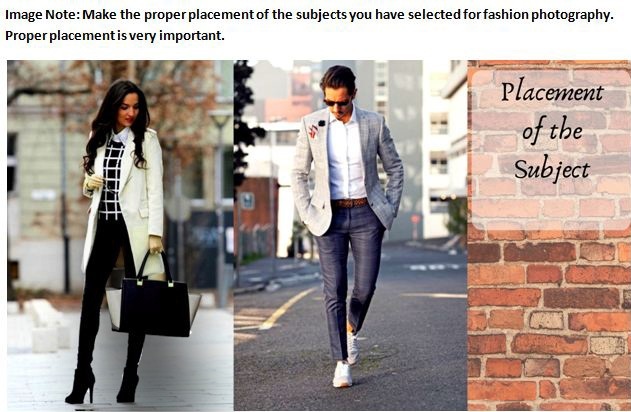 You can also use the rules of thirds while outdoor fashion photography. Sometimes editing several numbers of fashion photographs manually can be very much time consuming and boring. 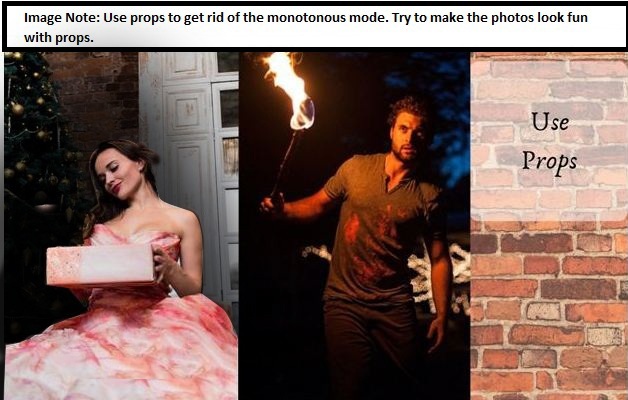 Only two things can save you from this situation one is a photo editing service or free Photoshop actions. 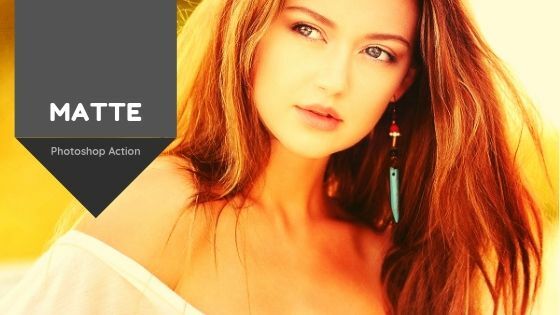 We have collected some great and free Photoshop actions here for you to edit your photographs by yourself as a Pro. 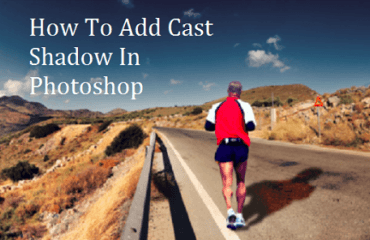 A Matte Photoshop action gives a warm color effect to your Photos. The color of the images will look warmer if you apply this Photoshop action. This effect is greatly suitable for fashion photographs. 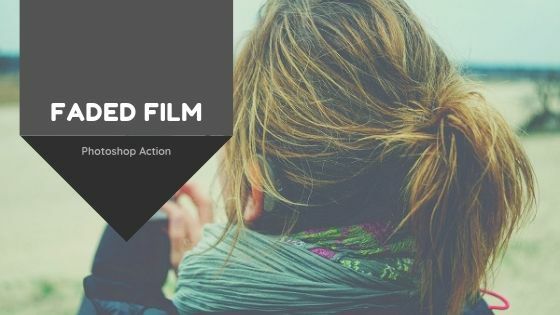 A Faded Film Photoshop Action will give your images a faded appearance which occurs when any photograph gets clicked using a film. This effect is quite suitable for fashion portraits. 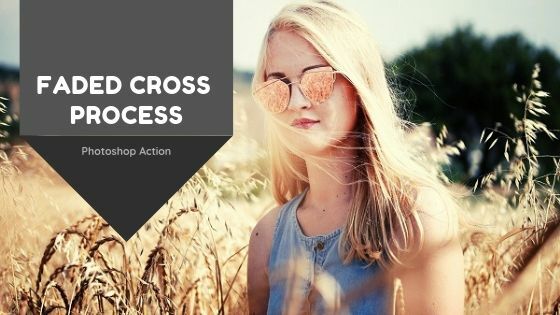 A Faded Cross Process Photoshop Action will allow you to give a faded effect to your fashion shots. This will also look warm and bright. This effect looks stunning on outdoor fashion photographs. 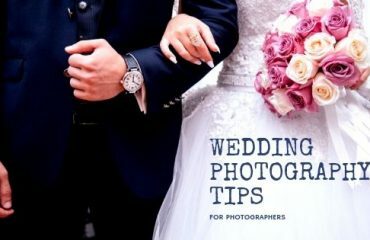 You can easily grow your fashion photography careers with less effort if you follow these tips from above. The main secrets of fashion photography lie here. The world’s topmost photography genre includes the photography of style and fashion. All you need to do is practice shots with the models and then you can become a pro in it.